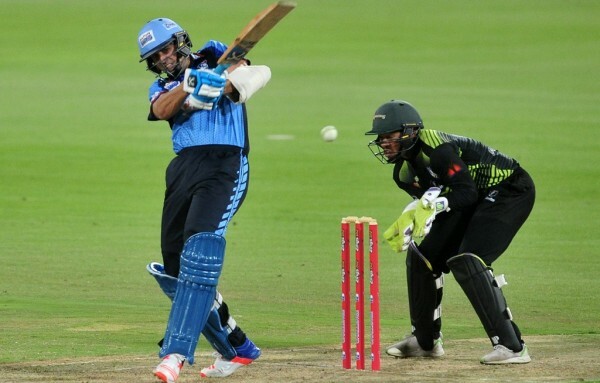 Titans is the most successful team in CSA T20 Challenge which was previously known as Ram Slam T20 Challenge. They are also one of the founding member of the tournament which already won four titles of CSA T20 Challenge and also the defending champion. They already played four matches in the season and today in their fourth match, Titans beat Cape Cobras by 7 wickets. Cape Cobras is also one of the most successful team in the competition by winning the title three times. So, it was not wise to take them light. Though, their performances in the ongoing season of CSA T20 Challenge is disappointing. They have already played three matches and lost all three times. Last match, they have faced Titans and faced their 3rd defeat. Cape Cobras lost the toss and came to bat. They scored 119 runs by losing nine wickets in 20 overs, it was successfully chased by Titans. Hashim Amla and Wayne Parnell opened the innings for Cobras. Their opening partnership did not last long but broken in just 9 runs. Parnell scored just 2 runs and turned back to the pavilion. Temba Bavuma tried a bit with Amla but after 10 runs Amla was gone. In 3rd wicket partnership, they added 30 runs almost where captain JP Duminy and Temba scored a bit. Temba was out with his 27 runs and Duminy scored highest 40 runs. It seemed that they did not play in front of Titans bowlers. Middle orders and lower orders were failed completely. They even did not score two figure runs except Linde. At the end of 20 overs, they scored 119 runs by losing nine wickets. Titans bowlers successfully dominated the crease and tied them with small runs. Dale Steyn, Lungisani Ngidi and Malusi Siboto took two wickets each. Titans innings was shorter. In just 13.3 overs, they managed to cross the given target. Though openers were out with 0 runs. Both De Kock and Henry Davids could not open the run account. But Aiden Markram and AB de Villiers played well. De Villiers was out by scoring 37 runs. Markram and Farhaan Behardien finished the innings with 51 and 15 runs and remained unbeaten. By losing just three wickets, Titans made to the destination. After four matches, Titans gathered 18 points by winning all of them and grabbed the top position of the point table. Cape Cobras is in last position on the other hand.